"America is a reckless squanderer where small racial units are concerned, and the cause of any Indian race seems a priori a lost cause." 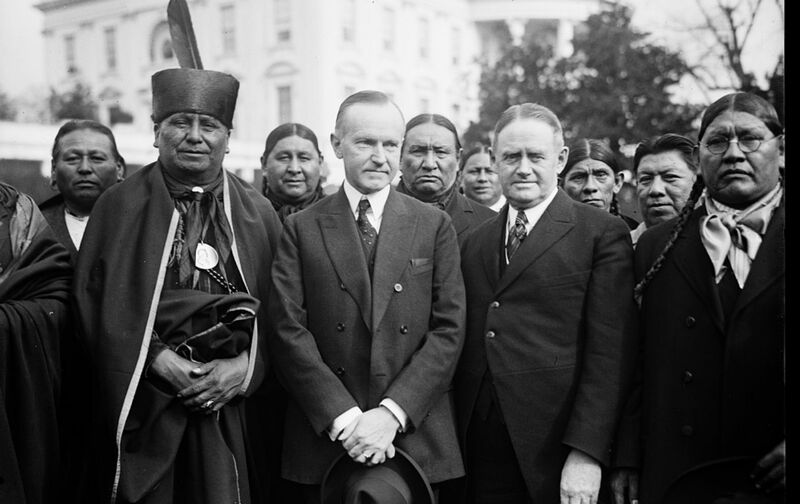 More than three years before the passage of the act granting US citizenship to Americans, who had been excluded under the citizenship provisions of the Fourteenth Amendment, The Nation had considered the question in an essay, “Should the Pueblo Indians Be American Citizens?” Its author was Elizabeth Shepley Sergeant, a prominent journalist of the era, who objected to the granting of US citizenship to Native Americans on the grounds that it would wipe out what little was left of tribal tradition. She called instead for the appointment of a “‘Protector’: not a ‘political appointee,’ but a really big-minded person of vision and competence.” Hmm. “They are nothing but children”—on how many lips has one heard the kindly-contemptuous phrase in the Southwest. And in how many outer offices has one not seen these patient Children of the Ages waiting abashed in their blankets for red tape to unroll—abashed and bewildered, but feeling in their heart of hearts much surer than their patronizing, black-coated advisers where lie the eternal verities…. The fate of a few thousands of Pueblo Indians will probably arouse very little interest in our many millions. America is a reckless squanderer where small racial units are concerned, and the cause of any Indian race seems a priori a lost cause. Yet justice and the faith of these simple self-respecting folk in a benevolent Uncle Sam, who has, first and last expended considerable sums in providing them with teachers, lawyers, doctors, and farm machinery, should not be lightly set aside. Moreover, if we were going to scrap the Pueblo civilization, consign it to the general Indian ashheap, better have done so in 1846 than in 1921, when there are signs that the greatest and richest country in the world has at last reached the point of creating an American culture. Is there not, on a purely selfish, if not on an altruistic basis, solid reason for conserving and protecting the only Indian race that has, as by a miracle, survived in its original state to the twentieth century?